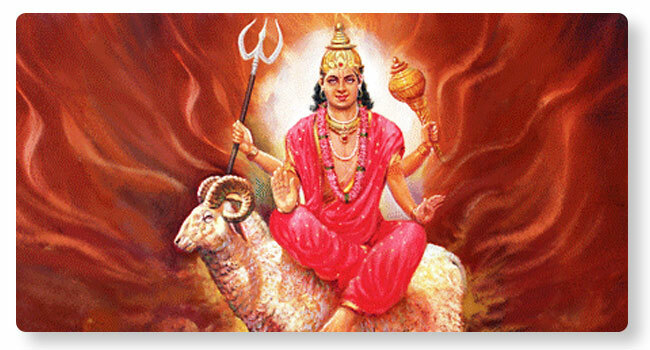 Chevvai is the Tamil name for Lord Angaaraka, who is also called Mangala and Kuja. Due to planetary position of Angaraka Graha (Chevvai), Angaraka Dosha Parihara Homa are suggested. Kalatra dosha, skin related problems, fear of failure are some of the matters related to planetary position of Mars. Homa is performed propitiating Lord Subrahmanya (Muruga), Lord Lakshmi Narasimha and Lord Agni among other gods.